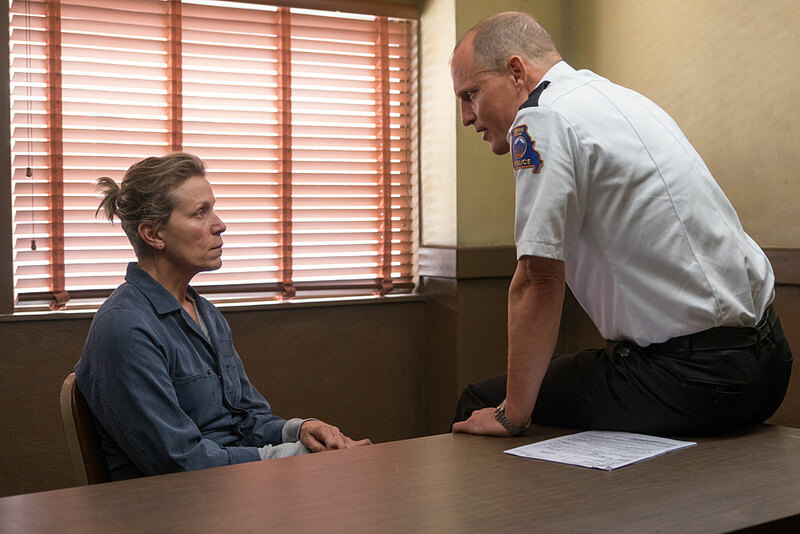 After months have passed without a culprit in her daughter’s murder case, Mildred Hayes makes a bold move, commissioning three signs leading into her town with a controversial message directed at the town's revered chief of police. 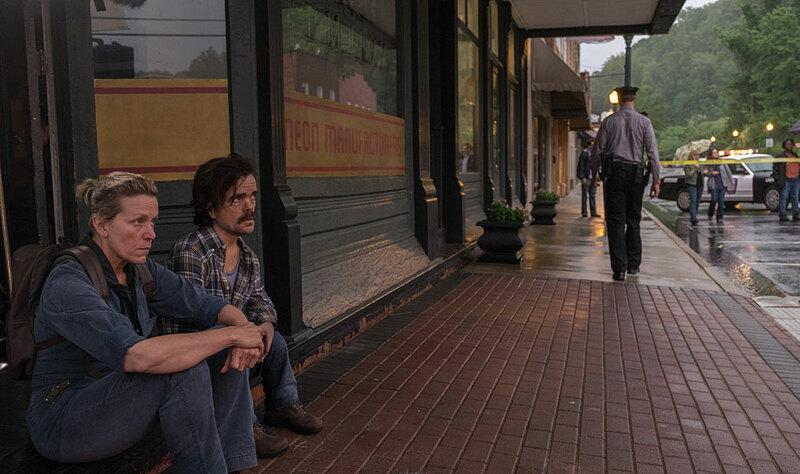 A darkly comedic drama from director Martin McDonagh (In Bruges). Months have passed since Mildred Hayes's daughter was murdered and local police have still not found the murderer. Devastated and enraged, she takes a bold and unexpected action. 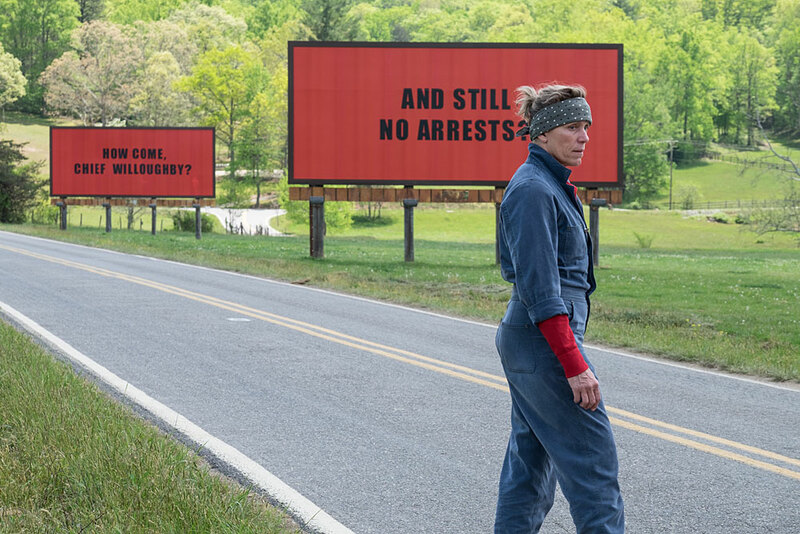 Hiring three billboards that stand at the border of her home town, she addresses an uncompromising message to chief of police, William Willoughby. 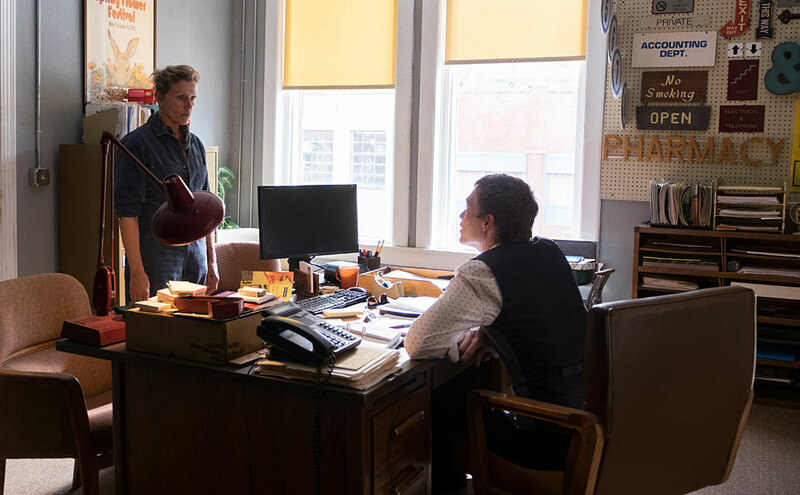 Hayes's billboards ignite immediate controversy, and when violent local policeman and 'mommy's boy' Dixon gets involved, the battle between Mildred and the men of Ebbing escalates. 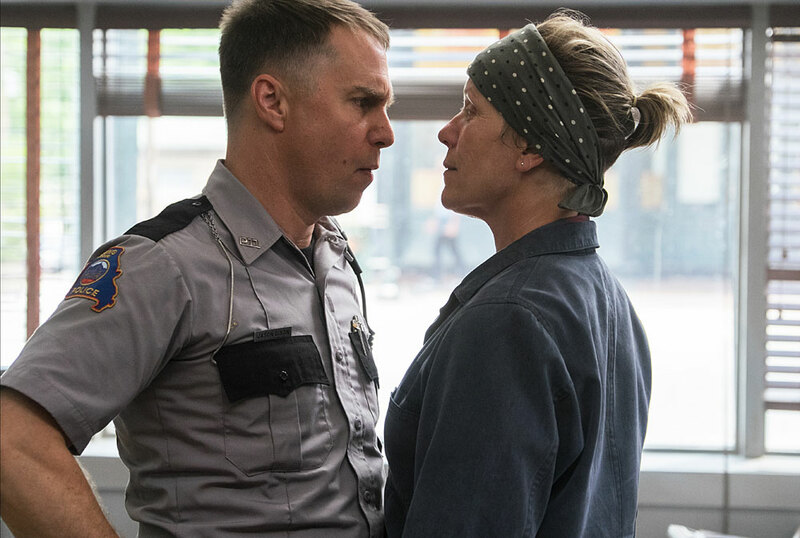 Irish director Martin McDonagh (In Bruges) and a formidable Frances McDormand in the lead role take on 'small-town' America in this sharp tragicomedy. 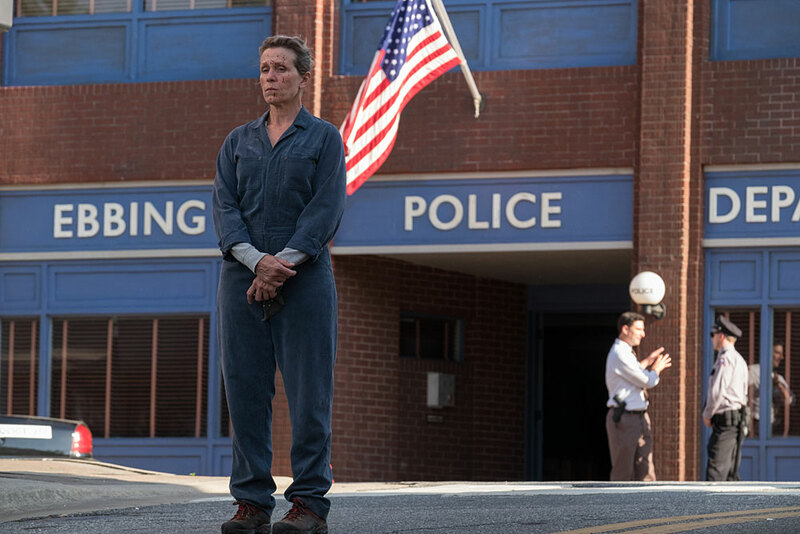 Winner of Best Screenplay at the Venice Film Festival and of Golden Globes for Best Film, Screenplay and Supporting Actor. 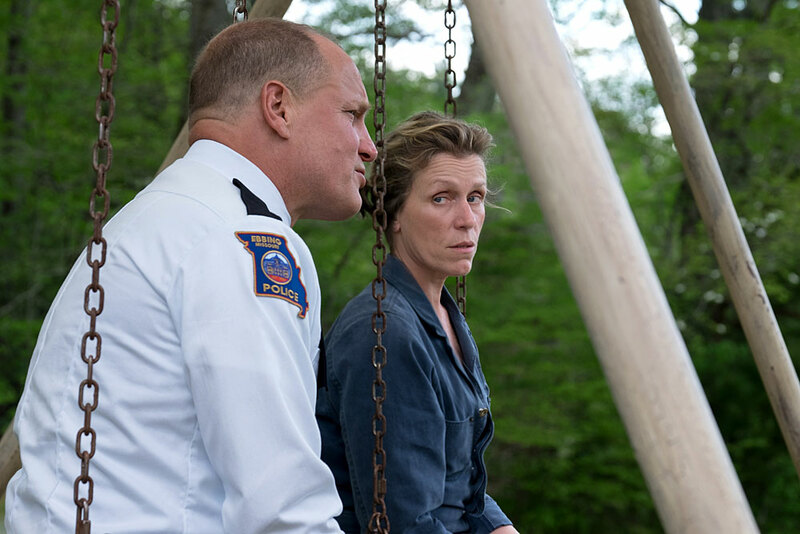 Seven oscar nominations!